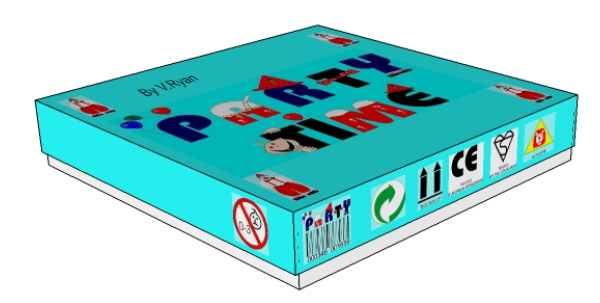 The diagram shows the lid for a party pack which will contain a range of simple games, party hats etc... for a children’s party. 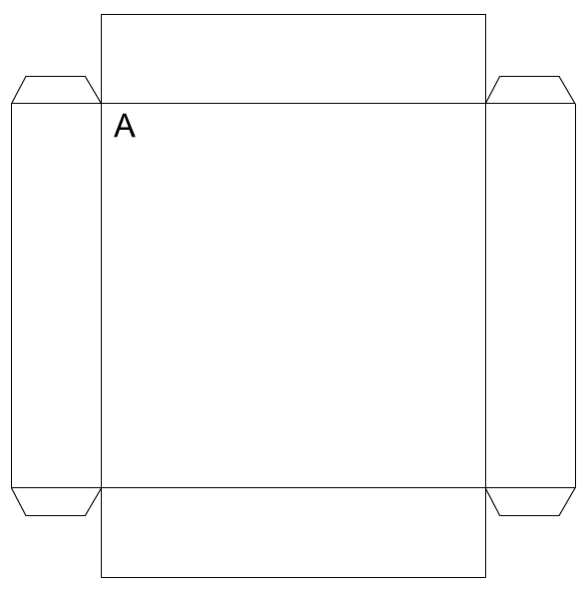 Draw a design for the layout for the lid on surface ‘A’. The product title - Party Time. A suitable symbol/drawing representing the term Part Time. Health and Safety - both British standards and European. 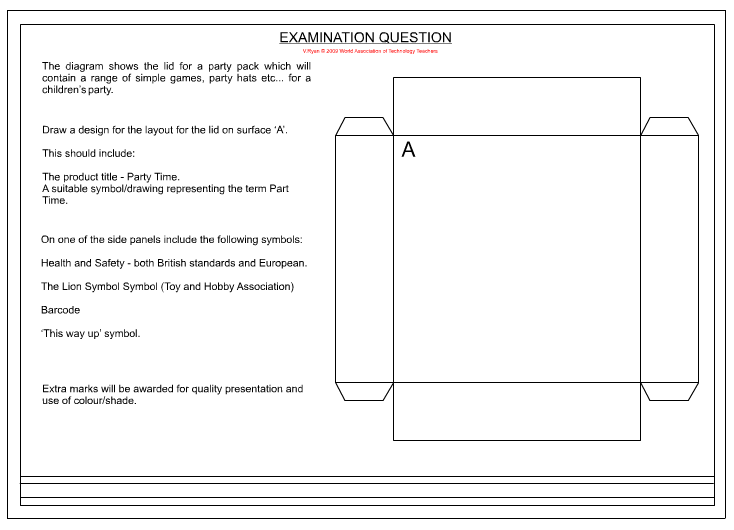 Extra marks will be awarded for quality presentation and use of colour/shade.